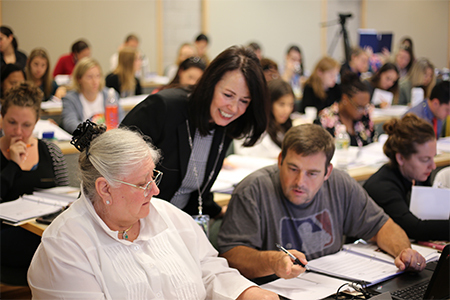 Windward Teacher Training Institute (WTTI) provides professional development based on scientifically validated research. Courses, workshops, and lectures address a broad range of topics appropriate for both mainstream and remedial educational settings. WTTI serves as a resource for educators and professionals in allied disciplines, such as speech and language therapists and psychologists, as well as for families. 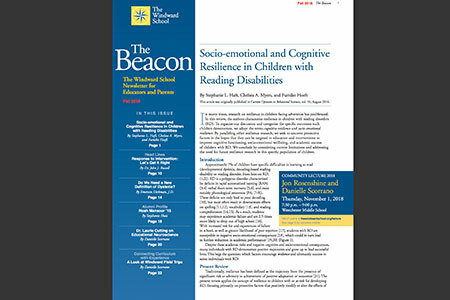 The Fall 2018 issue of The Beacon features articles by renowned researchers as well as a headline article by Dr. Russell. "The Research Process: Essential Skills for Academic Success"
This new four session course is being offered to non-Windward students in grades 7-10. Sessions will be held in Manhattan and Westchester. Read More about "The Research Process: Essential Skills for Academic Success"